To see a preliminary outline of the conference click here. The Institute for Economic Policy Studies will offer a panel discussion on the book This Time is Different: Eight Centuries of Financial Folly by Carmen Reinhart and Kenneth Rogoff at the 69th International Atlantic Economic Society Conference in Prague, Czech Republic. The session will be held on March 27. Carmen Reinhart and Kenneth Rogoff in their 2009 volume, “This Time is Different: Eight Centuries of Financial Folly,” challenge the maintained hypothesis that the financial crisis that best the global economy (the developed, the emerging economies and the developing countries) in the 2000s, differs from financial crises encountered earlier in this century and/or in previous centuries. To make their case, they have provided a systematic and quantitative analysis covering nearly eight centuries and sixty six countries. They examine the patterns of currency crashes, hyperinflation episodes, government defaults on their debt obligations as well as cycles in housing and equity prices. The round table panel will put the authors’ quantitative findings in country-episode specific perspective. Given that the episodes and data pertain to both developed and developing economies and that countries experiences differ not only time wise but also in terms of the factors that precipitated the crisis, the panel will sort out factors that precipitated crisis in selected developing economies and contrast those factors with those precipitating the crisis in the 21st century. To see a summary of the conference presentations click here. The Institute for Economic Policy Studies hosted a conference with the collaboration of the University of Botswana (at the University of Botswana in August 2008). The conference theme is “Developing a Continent: Who is in Charge?” . To see the participants and the papers presented see the Conference Program. See summary of the conference here. 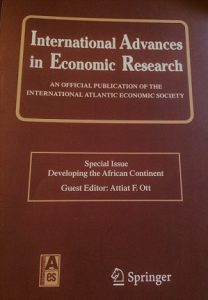 To see “Is Economic Integration the Solution to African Development?” by Attiat F. Ott click here. – Attiat F. Ott, Clark University—U.S.A., State Paternalism and Rules of Reason. – Bonnie Orcutt, Worcester State College—U.S.A., Paternalism and Development: Should Government Choices Preempt Individual Choices? – Richard J. Cebula, Armstrong Atlantic State University—U.S.A., State Imposed Solutions to Externalities: Impact of Pollution Abatement Costs on Employment. – Chyanda M. Querido, Clark University—U.S.A., Third-Party Effects: A Bargaining Solution to Internalities in a Model with Multiple Selves. – Sheila Vegari, La Salle University—U.S.A., Does Neuroeconomics Explain Libertarian Paternalism? 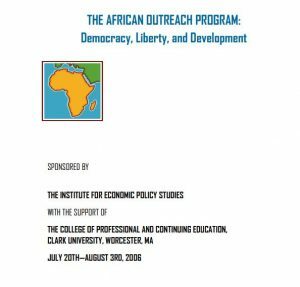 From July 20th until August 4th, 2006 the Institute hosted the first African Outreach Program – “Democracy, Liberty and Development”. On the evening of July 20th the Honorable Joseph Pare, Minister of Secondary, Higher Education and Scientific Research of Burkina Faso, delivered the keynote address, which took place at the Worcester Club. See video. Participants from Burkina Faso, Ghana and Senegal, along with American Scholars participated in the two weeks program. See the African Outreach Program. The participants are also listed. Highlights of the Program are given in slides (B. Orcutt – The Rise of Microfinance; J. Cabral – Surtax Removal, Rice Sector and Migration in the River Area in Senegal; P. Quartey – Innovative Ways of Making Aid Effective in Ghana; T. Antwi-Asare – Globalisation employment and poverty in Ghana; El Hadji Sall- Reduction of Corruption in Africa: A Tremendous Challenge; A. Ott – General Session). 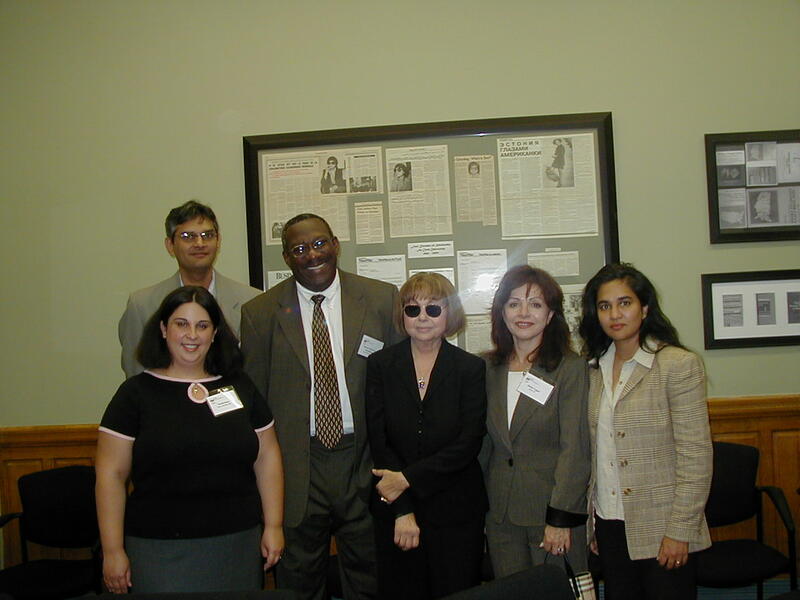 On September 13, 2004, a preliminary meeting was held to launch the Institute for Economic Policy Studies and to elect the Board of Directors. The Institute President outlined the raison d’etre for establishing the Institute. President Remarks. A REFLECTION ON THE LIFE OF A TEACHER: RICHARD A. MUSGRAVE (1910 – 2007). IN MEMORIAM MILTON FRIEDMAN (1912 – 2006). “A Fine Balance: ‘Intellectual freedom fighter’ served under three presidents“, Worcester Telegram, Worcester, Massachusetts, Friday November 17, 2006. About the first African Outreach Program: “Africa Open for Business”, Worcester Telegram, Worcester, Massachusetts. African Outreach Program: Minister Joseph Pare keynote address, Worcester Club, Worcester, Massachusetts. 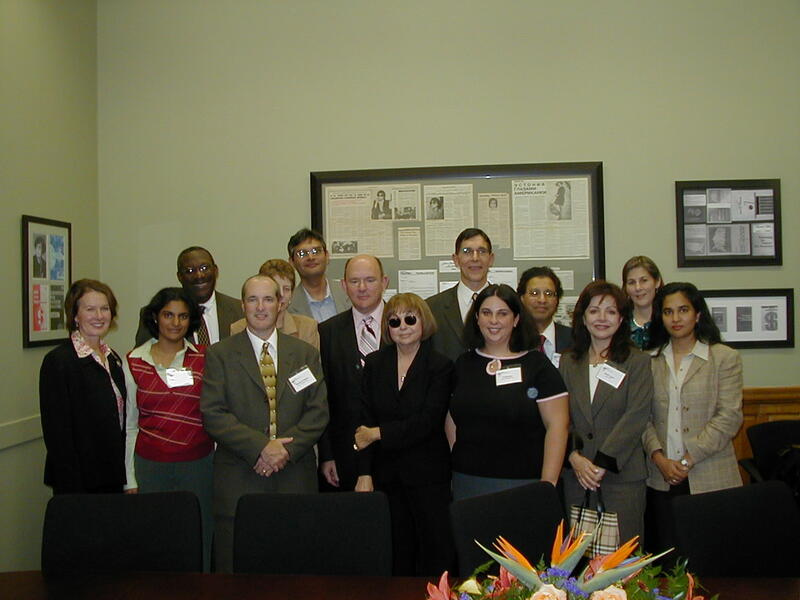 “Outreach event”, Worcester Telegram, Worcester, Massachusetts, Tuesday July 11, 2006. 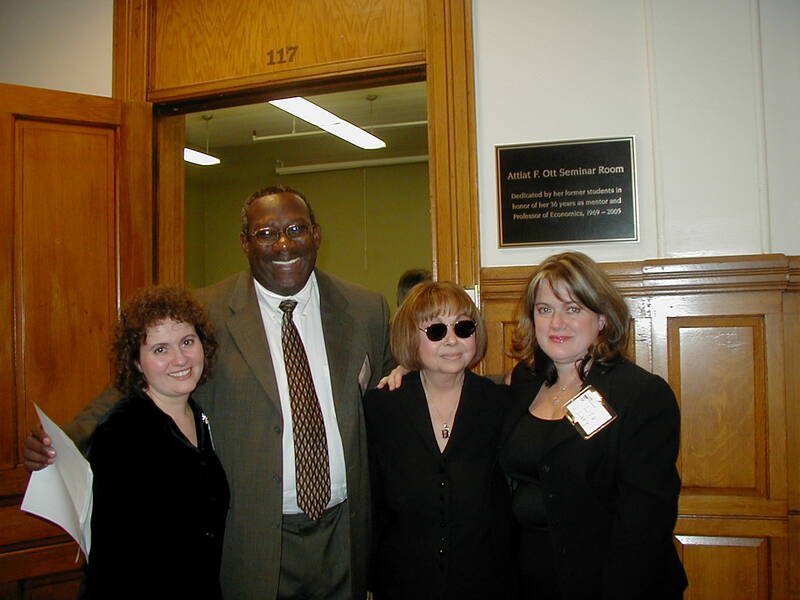 Clark University dedicates Seminar Room (Jonas Clark Hall # 117) in honor of Attiat F. Ott, a mentor and Professor of Economics 1969 – 2005. Pictures: Four generations of Scholars; Representatives of four decades of Scholars; Ott’s family and a former student. 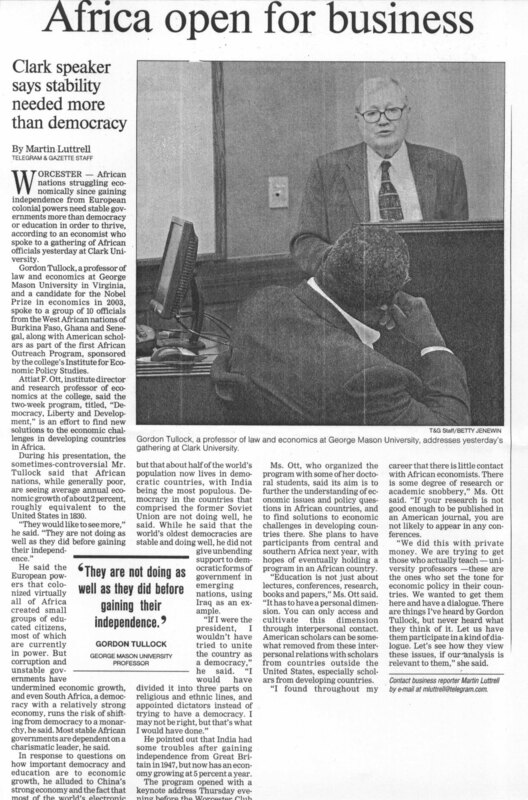 “Personal Touch: Clark’s Ott leaves lasting imprint on students, economic theory”, Andi Esposito, Business Editor, Worcester Telegram, Worcester, Massachusetts, Sunday May 1, 2005. Alive Rivlin, Former Vice President of the Federal Reserve Board, and a Brookings Institution Senior Fellow, delivered the Presidential Lecture in Professor Attiat’s honor at Clark on “Fiscal Sanity: why it matters and how to restore it”. International Atlantic Economic Society has officially announced the creation of the John M. Virgo Scholarship Fund, established by Professor Attiat F. Ott to honor Professor John M. Virgo, the founder and the Executive Vice President of the IAES. The purpose of the fund is to enable African scholars to attend the Society’s conferences. For more information and about how to donate to the fund, click here.